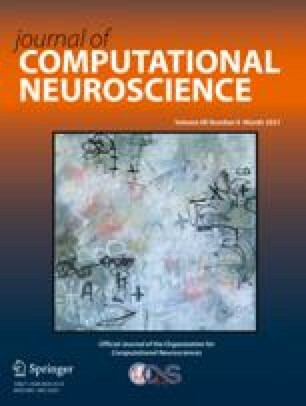 We investigated the spread of membrane voltage changes from the soma into the dendrites of cerebellar Purkinje cells by using voltage-imaging techniques in combination with intracellular recordings and by performing computer simulations using a detailed compartmental model of a cerebellar Purkinje cell. Fluorescence signals from single Purkinje cells in cerebellar cultures stained with the styryl dye di-4-ANEPPS were detected with a 10 × 10 photodiode array and a charge coupled device (CCD). Fluorescence intensity decreased and increased with membrane depolarization and hyperpolarization, respectively. The relation between fractional fluorescence change (ΔF/F) and membrane potential could be described by a linear function with a slope of up to − 3%/100 mV. Hyperpolarizing and depolarizing voltage jumps applied to Purkinje cells voltage-clamped with an intrasomatic recording electrode induced dendritic dye signals, demonstrating that these voltage transients invaded the dendrites. Dye signals induced by depolarizing somatic voltage jumps were weaker in the dendrites, when compared with those induced by hyperpolarizing voltage jumps. Dendritic responses to hyperpolarizing voltage steps applied at the soma were attenuated when membrane conductance was increased by muscimol, an agonist for GABAAreceptors. Corresponding experimental protocols were applied to a previously developed detailed compartmental model of a Purkinje cell. In the model, as in the electrophysiological recordings, voltage attenuation from soma to dendrites increased under conditions where membrane conductance is increased by depolarization or by activation of GABAA receptors, respectively. We discuss how these results affect voltage clamp studies of synaptic currents and synaptic integration in Purkinje cells.